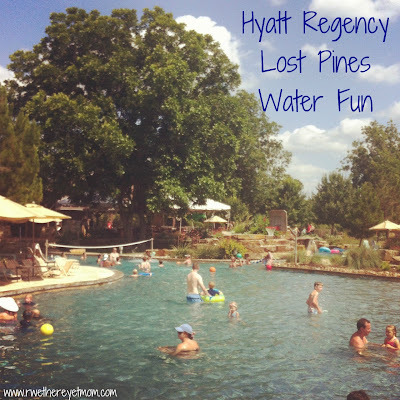 Water Fun at the Hyatt Regency Lost Pines - R We There Yet Mom? As we ease into our second week of summer, most of us have our calendars filled with camps, local activities, and other summertime commitments. Did you schedule any downtime? Any weekend get-a-ways with the whole family? 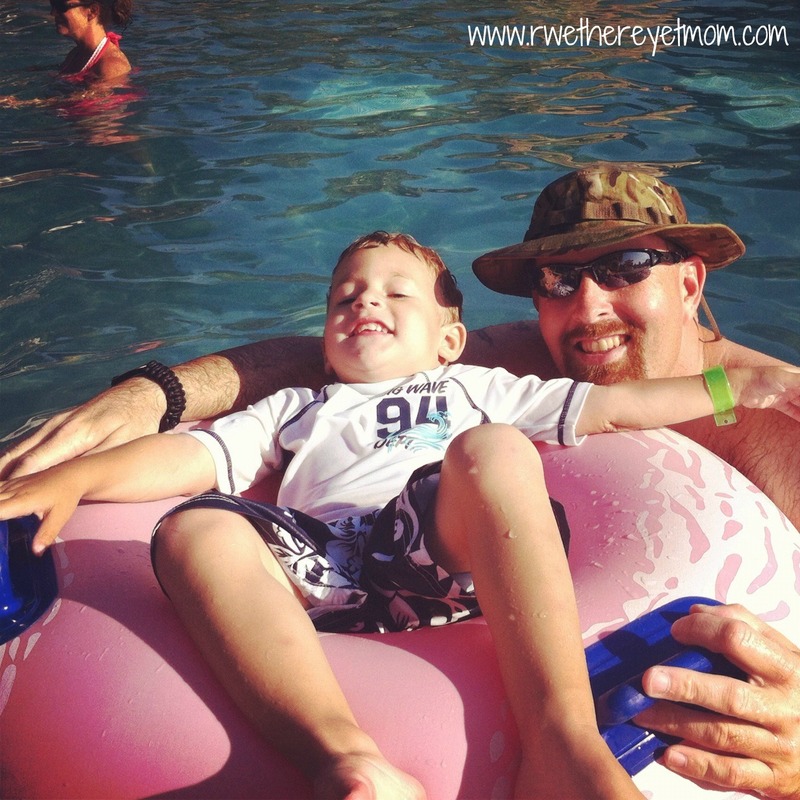 No worries – I am hunting down some perfect locations for local “staycation” fun for you & your kiddos! There is a true hidden gem less than a half hour outside of downtown Austin…..a perfect place for a memorable summertime vacation for the entire family. 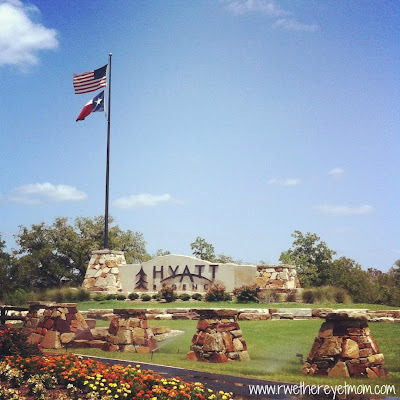 The Hyatt Regency Lost Pines Resort, located just outside of Bastrop, Texas, has something for everyone – water fun, horseback riding, biking trails, golf for dad and a spa for mom – everyone wins here. From the moment you turn into the resort, the scenic, rolling hills and colorful wildflowers transport you to immediate relaxation – away from the everyday hustle & bustle. 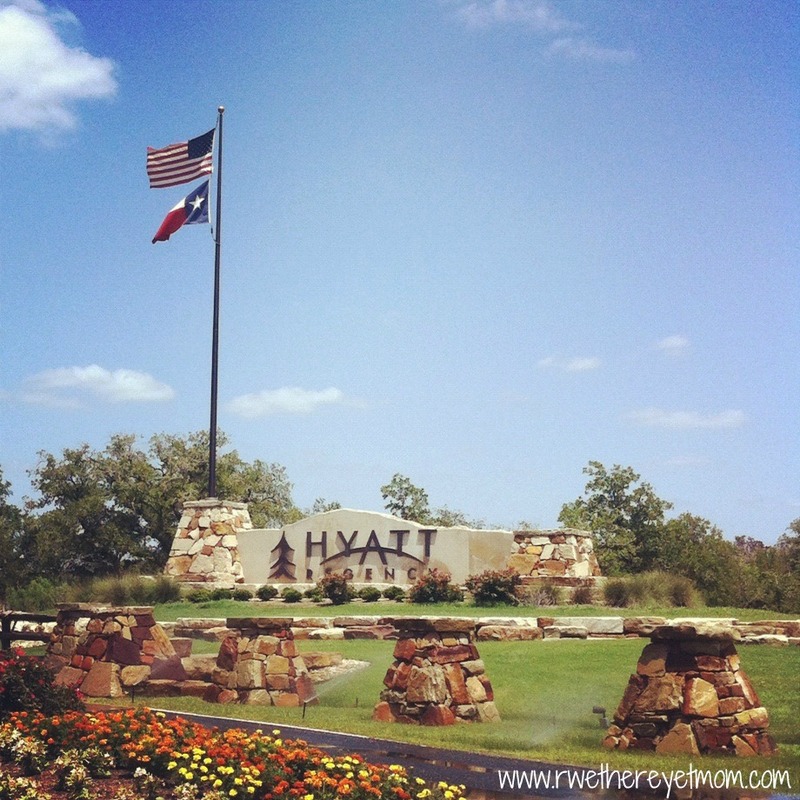 Hyatt Regency Lost Pines Resort has 405 acres set along the banks of the Colorado River and is a unique resort as it partners with the McKinney Roughs Nature Preserve and Science Center so they can offer amazing activities such as sunset river floats and stargazing. Wanting to minimize the amount of trees felled while building, the hotel itself has a strange shape, built around the layout of the pecan trees on property. Only 6 pecan trees were cut down during the building process. And those 6 trees were put to good use, creating the lobby chandelier out of huge pecan limb and wood flooring in the lobby, Shellers Barrelhouse Bar, and Spa Django. The hotel itself has a very rustic, Texas feel to it – from the shiny wood floors to the Texas artwork, you definitely know where you are walking in. The rooms are wonderfully cozy, with all the amenities you could possibly need, from wireless internet connections to in room fridges. But let’s be honest. My kids could have cared less about the hotel room. They were there for the pool! 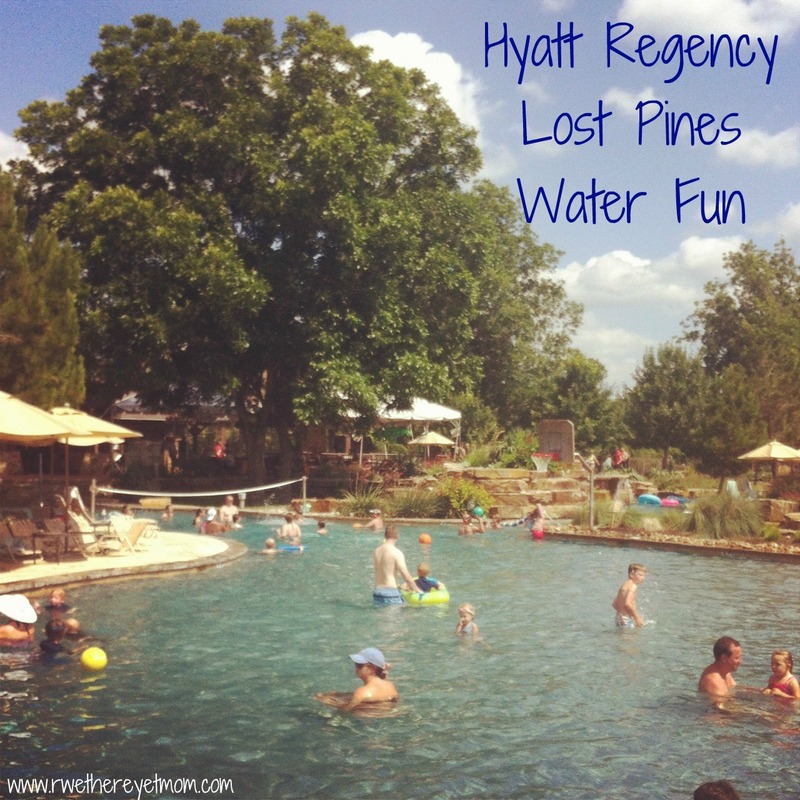 The Hyatt Regency Lost Pines Resort has a FUN pool area – The Crooked River Water Park is a wonderful place to simply play with your kids all day. My 3 year old enjoyed playing in the sand at the beach entry to the pool, while my big kids tried to beat their dad in a game of water volleyball. 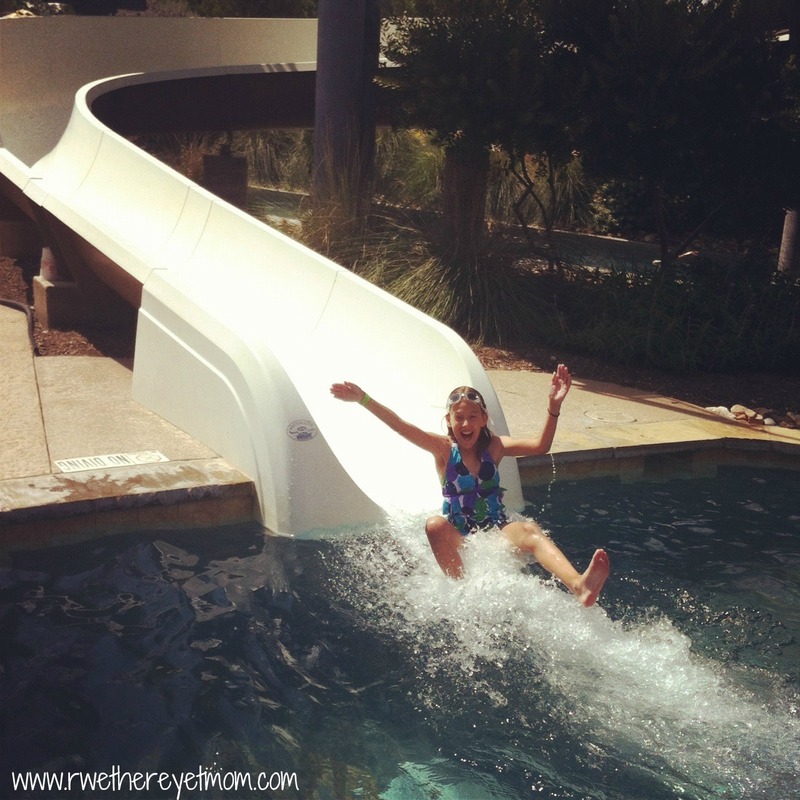 My daughter attempted to go down the 2 story water slide 100 times. Did she make it? 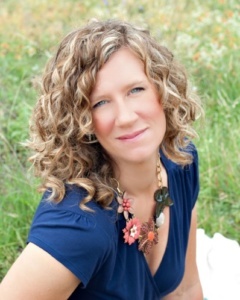 Of course – need you ask? 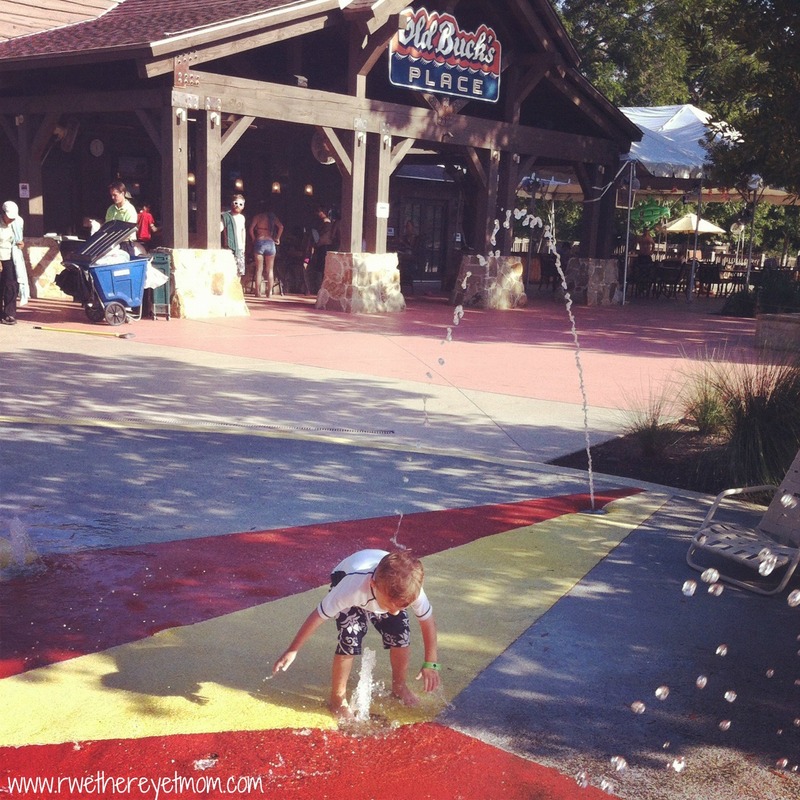 And there is even a fun little splash pad and baby pool for those not quite ready to venture into the big pool yet. 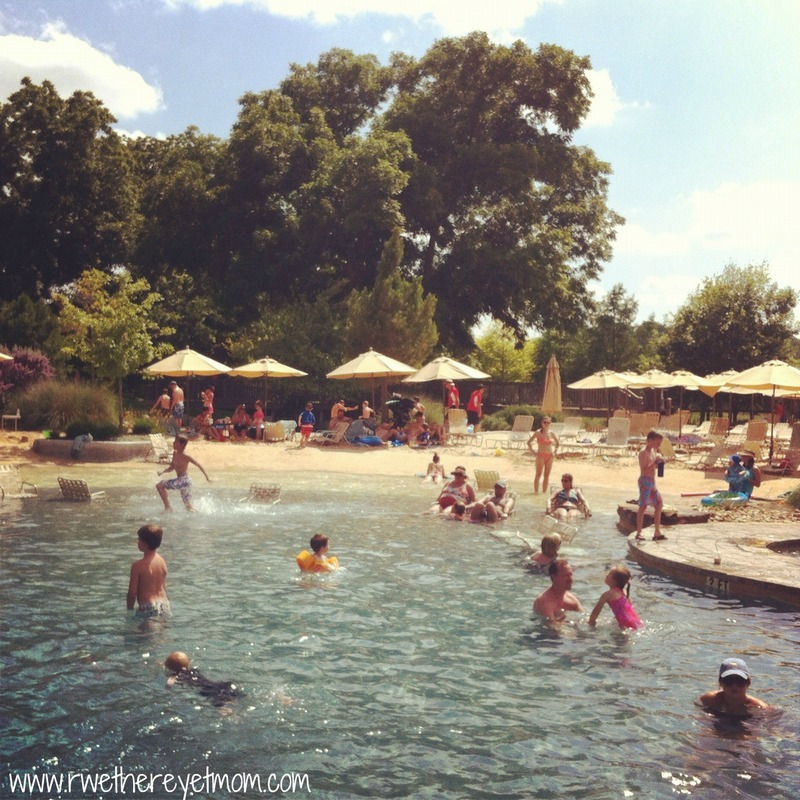 Old Buck’s Place serves a great poolside menu for lunch, so you never have to leave. 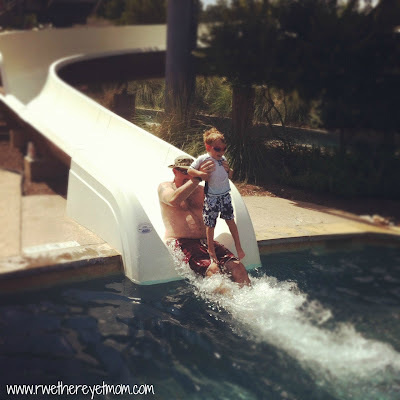 We enjoyed a whole day at the Crooked River Water Park with the kids not wanting to leave when it was time to go to dinner. This is only one of the many fun things we experienced during our stay at the Hyatt Regency Lost Pines. Click here to find out about our very special night there and here to see all the many activities this resort has to offer. I’ve stayed here before and truly love it as well! 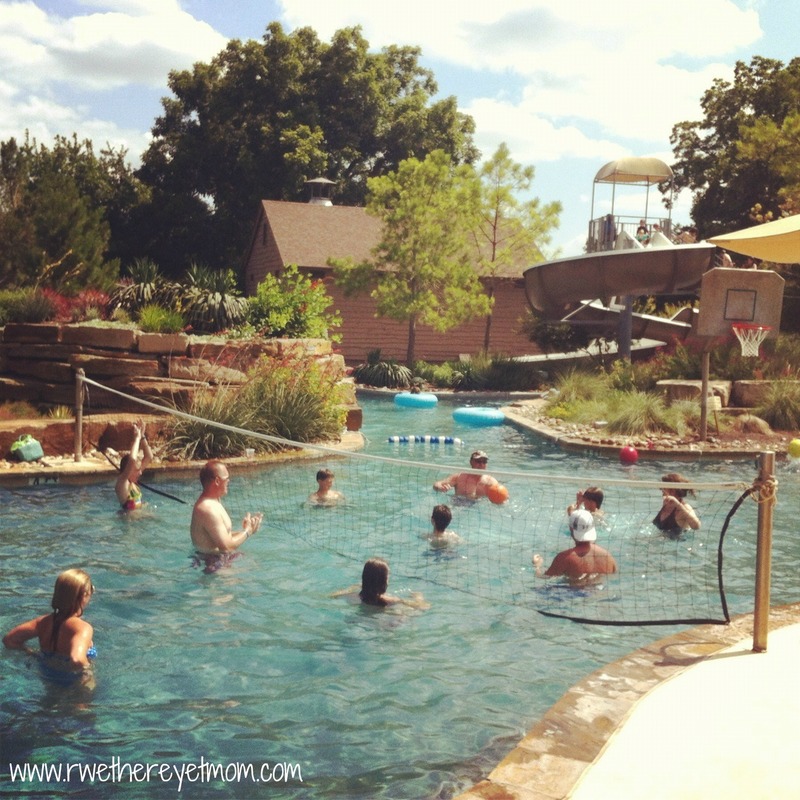 It’s also so close to Austin that my husband was out there for work and we went for the night to swim! Great place! When I finally make it to Texas to visit my family….I want to go here!! Looks like a super good time for all ages. Thanks for the recommendation!